In the first quarter of 2016, more than three dozen businesses have been victimized by Phishing attacks targeting employee tax records. The scams have impacted organizations both large and small, playing on fear and basic human nature in order to succeed. Since January, Salted Hash has kept an eye on the number of BEC (Business Email Compromise / Correspondence) attacks taking place online. BEC attacks are essentially a more focused variant of Spear Phishing, and more often than not the ultimate goal is tax information that can be used to obtain fraudulent returns. According to a report released by PhishLabs earlier this year, the number of organizations targeted by BEC attacks grew tremendously in 2015, as attackers refined their techniques and sought new victims. As 2015 rolled into 2016, that trend showed no sign of slowing. On March 1, the Internal Revenue Service issued an alert to payroll and HR professionals about the growing trend of BEC attacks targeting W-2 and other tax related data. These types of attacks play on the trust relationships that exist within the company. Some of them spoof the email address of the CEO or CFO, a person with authority, causing the employee receiving the message to hesitate when it comes to denying the request. Often, refusal isn't an option because no one wants to tell the boss no. Other attacks abuse trust by taking advantage of human nature, or specifically a person's general willingness to help. Awareness programs are frequently cited as the answer for these types of attacks. But awareness programs that focus on disrupting trust between co-workers or senior staff are doomed from the start. The key is empowerment, enabling employees to question requests for sensitive data no matter the source – and training them alert key members of the organization if something feels suspicious. Furthermore, when it comes to personal or financial information, organizations should implement a policy that requires verification from a second person. Even better, include the IT or security team, especially if the request originated via email. Empowerment and verification alongside awareness training are human answers to a human problem, and they're needed because technology alone won't save a company looking to fight these types of attacks. "No type of anti-virus can protect an organization from being the victim of this type of attack. So, once that email shows up in the inbox of that employee in the payroll department, it’s game-on. Until organizations become more proactive in training their employees to look for the signs of this now all-too-common phishing scam, the attacks will continue into the foreseeable future," said Nathan Sorrentino, of STEALTHbits Technologies. In the list below, the organizations mentioned have publicly disclosed BEC attacks that successfully targeted W-2 or payroll information. 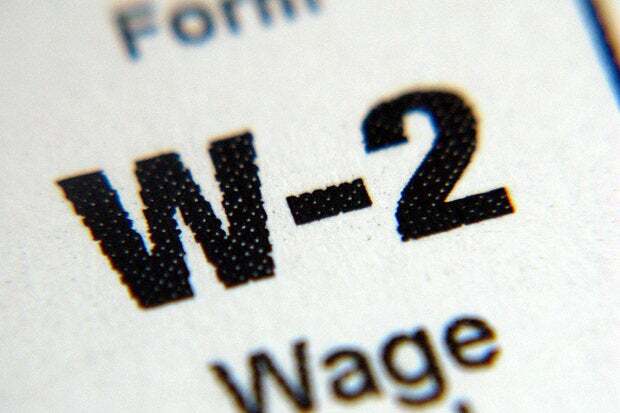 Unless noted otherwise, W-2 data means the attacks compromised some or all of the following: Names, home addresses, salary information, withholding information, and Social Security Numbers. Main Line Health (March 1) – A Phishing email sent on February 16, spoofed to make it look as if the message came from a company executive, compromised W-2 information on all employees. The company learned of the incident during an internal audit following the public warning about such scams issued by the IRS. Moneytree (March 4) – Reporter Brian Krebs reported that a Phishing email targeted W-2 information, and that all employees. Sprouts Farmers Market (March 23) – Media reports and confirmation from the company directly say that a Phishing attack, spoofed to make the message look as if it came form a company executive, compromised employee W-2 information for all employees. TaxAct (January 11) reported that between November 10 and December 4, 2015 someone used credentials obtained elsewhere to access customer accounts. Successful attempts exposed stored tax returns. TaxSlayer (January 29) reported that between October 10 and December 21, 2015 someone used credentials obtained elsewhere to access their customer's tax documents. Successful attempts allowed access to 2014 tax returns. TurboTax (February 10) reported that between January 26 and February 1, 2016 someone used credentials obtained elsewhere to access customer accounts. Successful access exposed in-process tax returns or the prior year's completed tax return. The company issued another notification on March 16, 2016, alerting customers to similar incidents that took place between February 24 and February 29.